It would seem that Saab is really getting into their stride as after recently announcing some enhancements the 2011 model year 9-3 will receive the Swedish have announced a few changes that will make the bread winning 9-5 more tempting. Their freshly launched flagship will receive updates such as three new engine choices, one of which being flex fuel and the other being a premiere for the company. The engines that virtually double the engine choices available for the premium Swedish sedan are a 1.6 liter turbocharged petrol, a 2.0 liter turbo diesel and a 2.0 liter turbo BioPower flex-fuel unit. The smaller displacement of the 1.6 liter turbocharged four cylinder engine will be good for 180 horsepower and about 169.6 lb-ft of torque which should get you along nicely but at the same time putting smiles on the face of your environmentalist friends as the combined fuel consumption and CO2 emissions are 30.2mpg US and 179 g/km respectively. The new 2.0 liter turbo BioPower engine is able to run on gasoline and/or E85 fuel (85% bioethanol, 15% gasoline) in any blends. 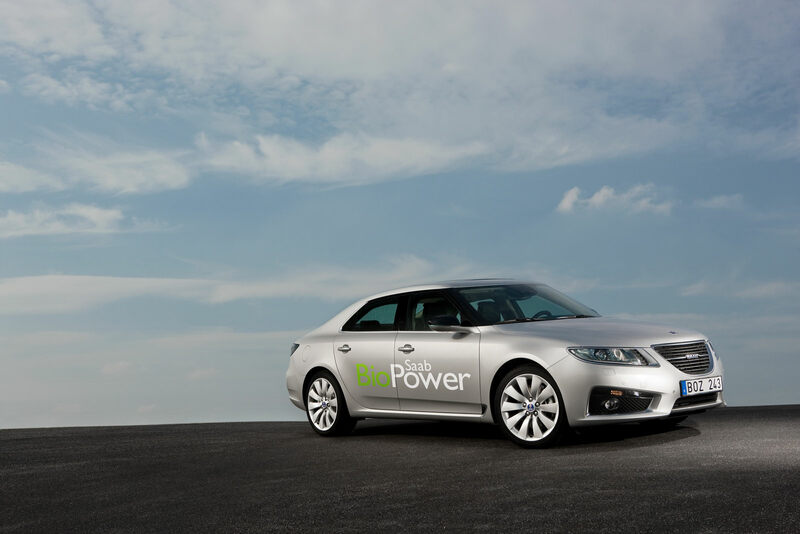 According to Saab, it delivers 220HP and 258 lb-ft of torque at itss peak regardless of the fuel type or mixture. The BioPower model is available on the 9-5 with two-wheel drive or XWD in all model specifications. The new 2.0 liter TTiD two-stage turbo diesel engine produces 190HP and 295 lb-ft from 1,750 rpm and while that may not seem greatly impressive it is the company premiere I was talking about earlier as this will be the first diesel in Saab’s history that can be ordered with the all wheel drive option.